Saturday Silent Sports. Sunday Lumberjack Day. Vendor village features local artisans. 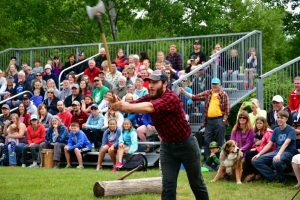 Frog and turtle races, Shantytown Station, live music, chainsaw carving, more. Sat. 9am-2pm & Sun. 9am-4pm.